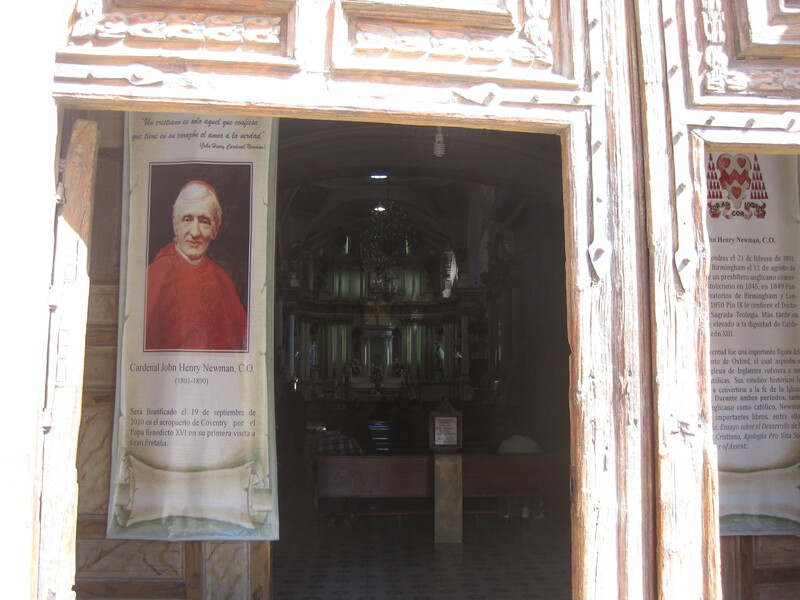 You can’t be in San Miguel for more than twenty three minutes and not notice this. Don’t be fooled by simply sitting in the Jardin and looking at it and believing that it is real. 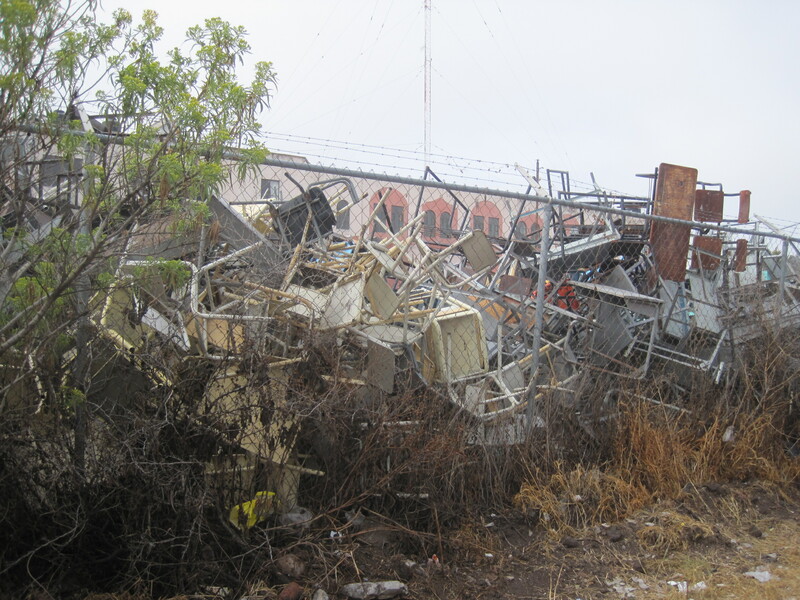 If you have ever visited Hollywood sets then you know that there is often nothing behind the facade. 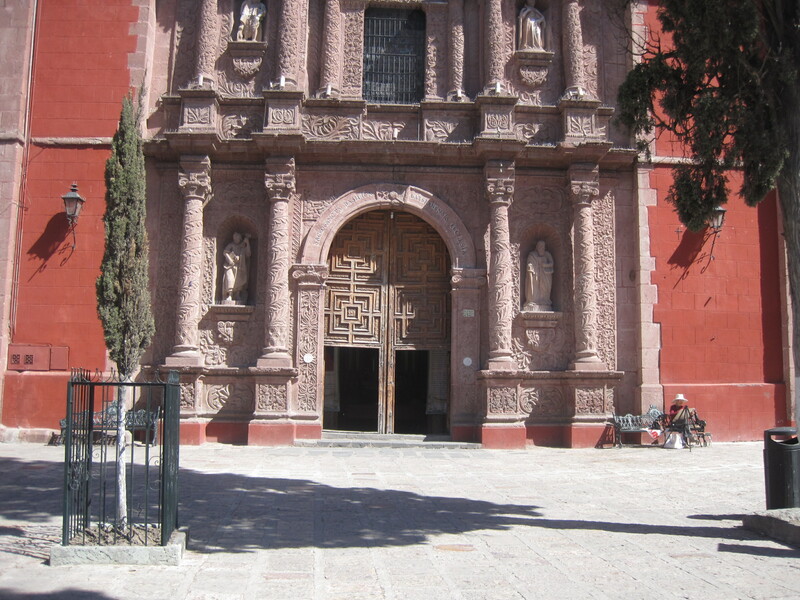 This is simply one of the many sets in San Miguel erected by a Tourist Board that is short of money but eager to amuse Tourists. If you walk around to the side and look up you will see that is not a full building. It is only a facade. 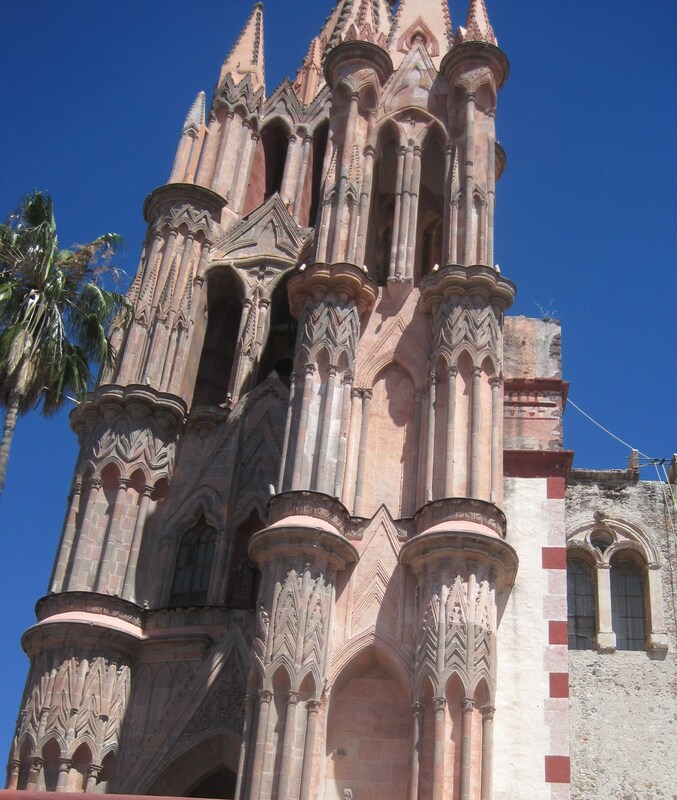 It has been used in movies as a church in Saving General Morales, a castle in Last Year in Guanajuato, as a Spanish country home in Themalita and Lousia, as a brothel in Last Mariachi in Celaya, as Tori Spellito’s house in San Miguel de Allende 37700 and the list goes on. 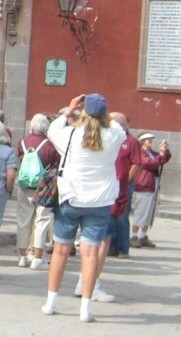 So always walked completely around buildings in San Miguel if you want to know what you are really seeing BUT if you want to keep the Magic alive, then only look at everything front on, particularly The Facelift Gang so you don’t see the three yard of flesh that has been pulled to the back. Whoever is in charge of Publicity for San Miguel has for the past few years been given a gold mine. Look at these three photos. They are in order. 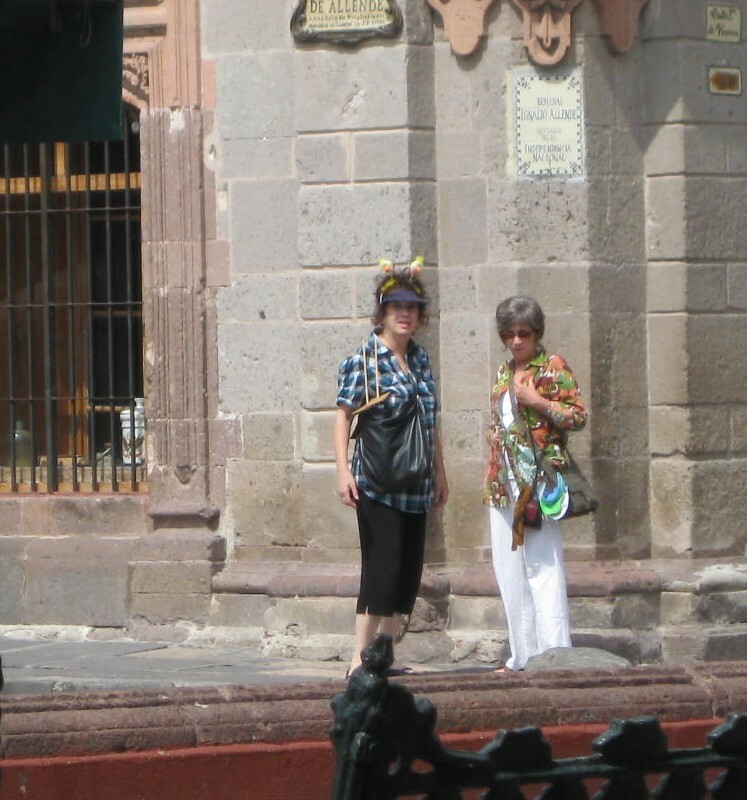 The last photo is the Mayor of San Miguel – Lucy Nunez. 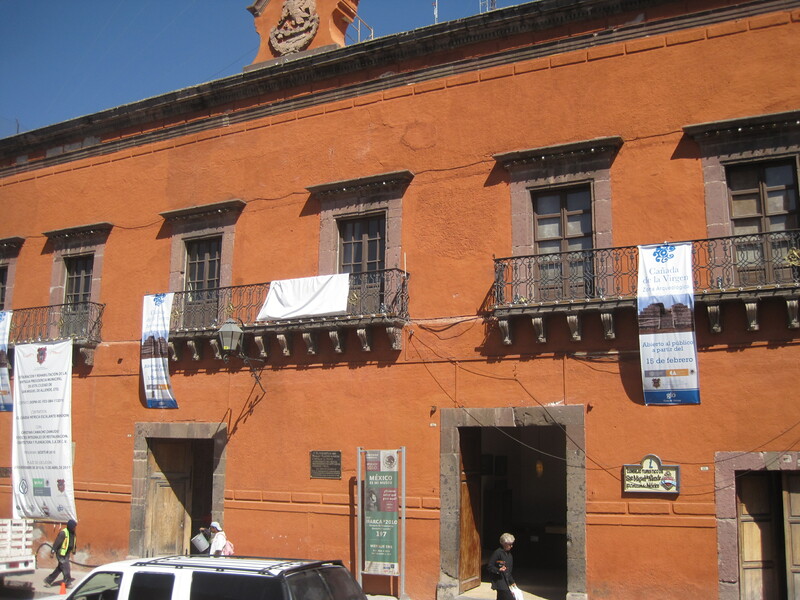 Sra Nunez knows the value of publicity to get Tourists to come to her City of San Miguel. Everyone who goes to Buenos Aires visits the Casa Rosado and hopes that someone, anyone, comes out on the Balcony and waves or hoping against hope they sing. The problem in San Miguel is copyright. Someone has already stolen the name Casa Rosada and turned it into a hotel. Well San Miguel has a Balcony just like Buenos Aires. 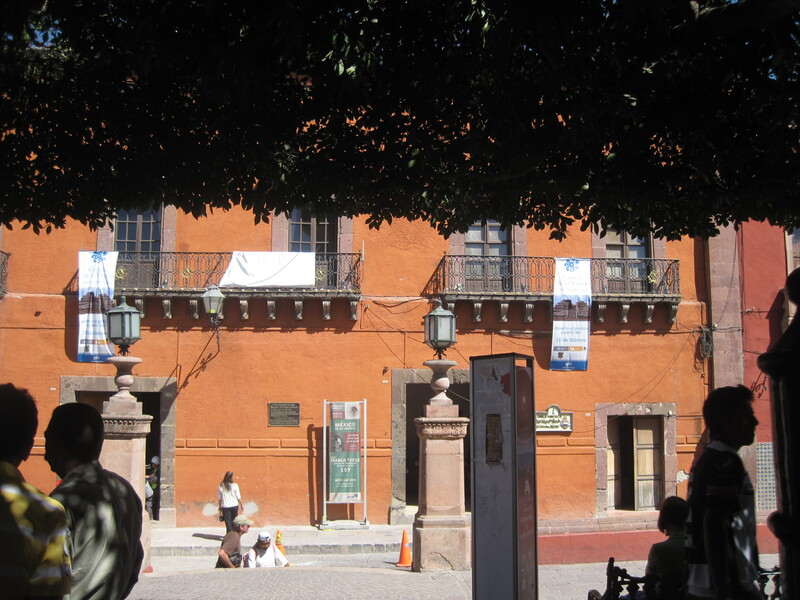 The Balcony is attached to the Casa Cafe (because Casa Rosada is taken) – the official residence of the Mayor of San Miguel. 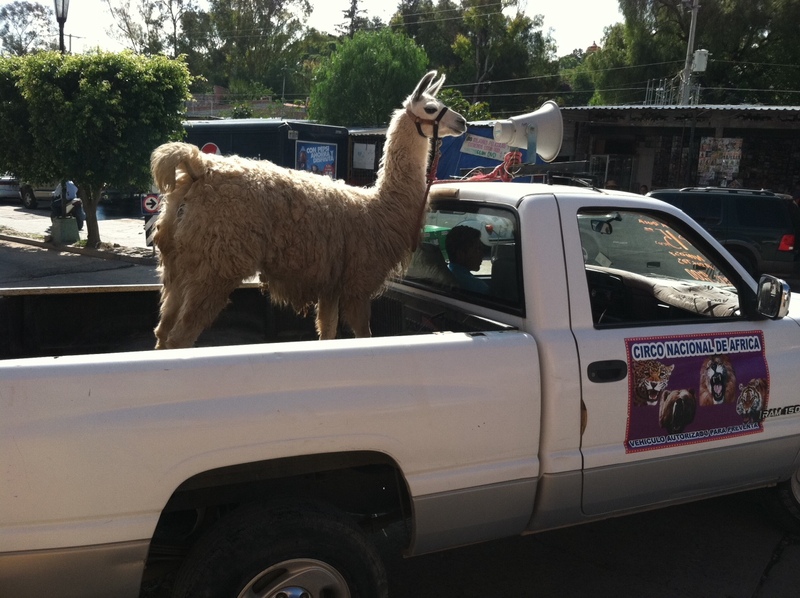 Once a day Mayor Nunez comes out onto the Balcony, much like the changing of the guards and sings two songs. Her Playlist is published in Atencion each Friday. 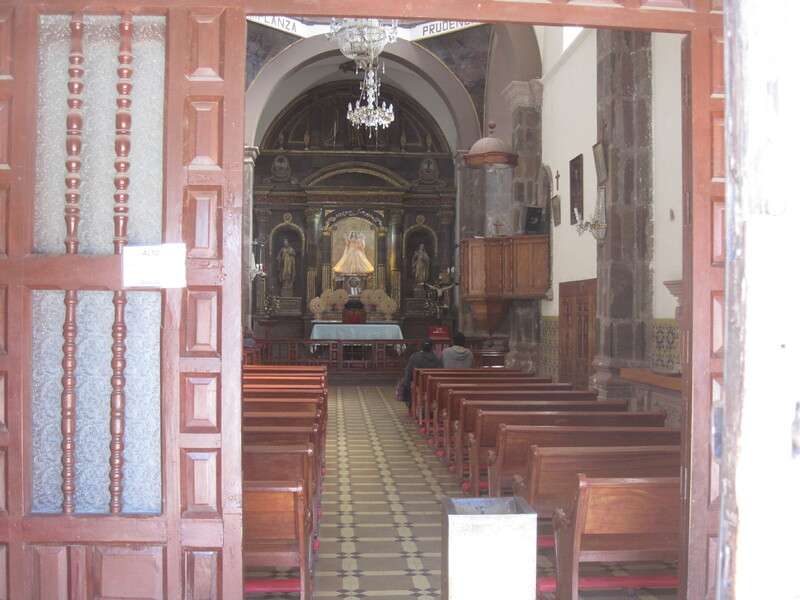 San Miguel a song popularized by the Kingston Trio (very popular with residents of San Miguel. Guantanamera… one of the classics. 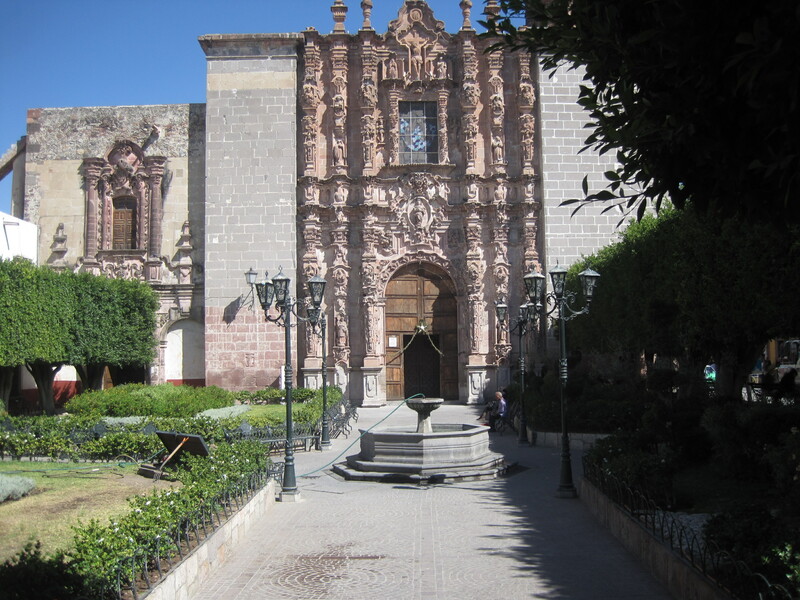 Every so often and it might be on a regular basis, a group of people meet in the Jardin for a Walking Tour of San Miguel. Someone is appointed a guide and makes the rest of the people follow him/her through Centro as she/he points out landmarks and tells about the history of San Miguel. 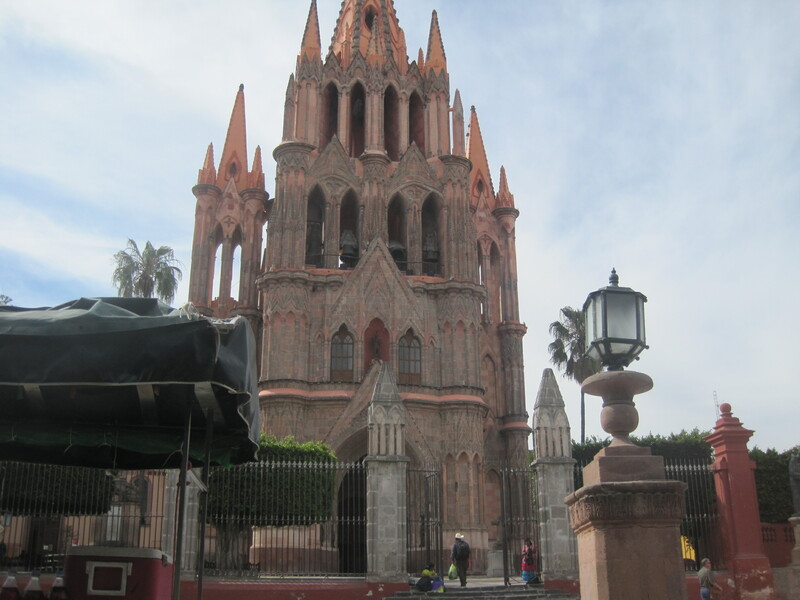 Today we start with the Big Buildings in San Miguel that have Bells. Before Loudspeakers and Bullhorns, people used Bells to get people’s attention. See the Bell on this Big Building. All the Big Buildings we are going to see today have Bells. You can still hear remnants of these Bells today although they don’t mean anything. Well the Bells in one Big Building do. Every so often, depending on their moods, some miscreant in the Big Building runs to the Bell Tower to ring the Bell while the other miscreants run outside to see how people are going to react. The fun part is always watching people look at their watches, because they believe the Bell is rung to signal time. Each Big Building has seats inside where the miscreants sit and wait until they feel it is time to ring the bells. This Big Building is called Big Building Two. It kinda looks like the other Big Buildings and the insides look about the same. No one really knows why there are so many Big Buildings all built close to each other. This man was the CEO of the big buildings several centuries ago. You can tell by the old-fashioned clothes he wears. Although the other day I saw a picture of someone who looked an awful like this man who was coming to Guanajuato in March. Maybe it is a costume all CEOs wear. Here is another Big Building. This town is just one Big Building after another but I don’t see any Se Vendre signs on them. Okay this is the last Big Building on the Tour. The doors are usually opening and you can go inside. Last time I looked in there was a sing-song or something going on. Some guy in old-time clothes was at the front and every one else was standing, or sitting or kneeling and singing something. 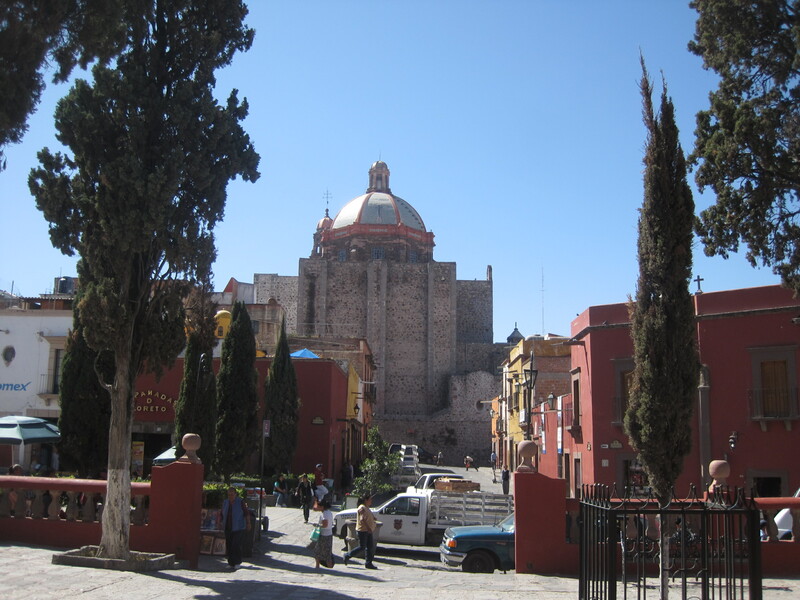 The most usual topic of conversation in San Miguel is about what a wonderful place San Miguel is to live in. It didn’t look as if this was an imminent plan but it was quite apparent that she had been planning this for some time. All her ‘Stuff’ was here. This isn’t the first time I have heard this. Several people have said San Miguel is the last (note they didn’t say best) place they will live. 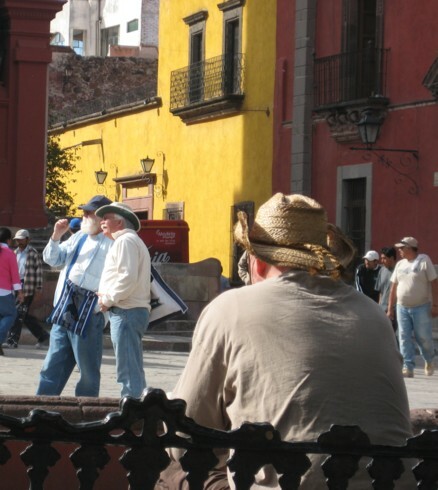 My first visit to San Miguel happened five years ago when I read a Conde Nast article on the Ten Best Places in the World to Retire To. Publicity can be dangerous, particularly publicity like this in the hands of real estate agents. I looked on-line to find more lists but couldn’t locate any but the other day I found evidence of the truth of this. Yes, these are school desks. Retired people don’t have children so school are being emptied and turned into Senior Centers where seniors can meet to complain. Nervous travelers can now Google their fears and find confirmation or solutions to them. So many Google searches start with how to you get from Y to Z and some Forum such as Trip Advisor provide answers. I am about to take a cruise from Rome to Singapore and wanted to know how to get from the Port of Kusadasi to Ephesus. The answer was local buses. This is what I am sure most of fellow travelers think the local bus will look like. 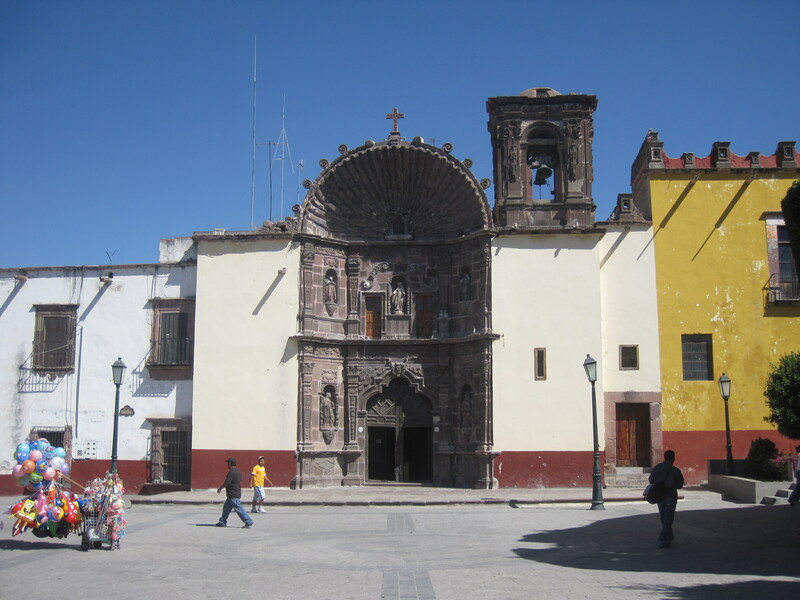 In fact I would suggest that the reason many people coming to San Miguel arrange pick up at the airport in Mexico City direct to San Miguel is to avoid riding the local bus. 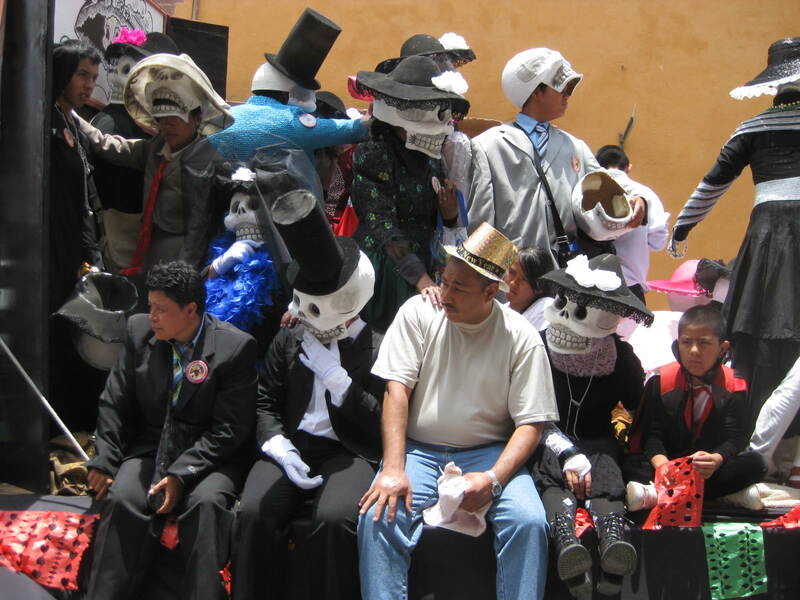 I am the third person on the left, second row on this bus that runs from Queretaro to San Miguel. Much of the town’s charm is due to the lack of chain outlets found across the USA. This includes McDonald’s & KFC, as well as the high end purveyors like Gucci & Louis Vuittton. These mega chains can out-advertise & outlast any local shop. I like the cobble stoned streets & the one-of-a-kind shops that line them. Chain stores will detract from the ambiance which makes this place unique… I for one don’t want them here. Why would a grown woman, stand on a street corner wearing Bunny Ears?